By knocking out a key regulatory protein, scientists at the University of California, San Diego School of Medicine and the Ecole Polytechnique Federale de Lausanne (EPFL) in Switzerland dramatically boosted insulin sensitivity in lab mice, an achievement that opens a new door for drug development and the treatment of diabetes. The research, published in the November 11 issue of the journal Cell, reveals a new and previously unsuspected role for nuclear receptor corepressor (NCoR), a transcriptional coregulatory protein found in a wide variety of cells. Olefsky and colleagues focused their attention on NCoR, which was known to be a major co-repressor of Peroxisome Proliferator-Activated Receptor gamma or PPAR-gamma, a ubiquitous protein that regulates fatty acid storage and glucose metabolism, but which also appeared to act on other receptors as well. 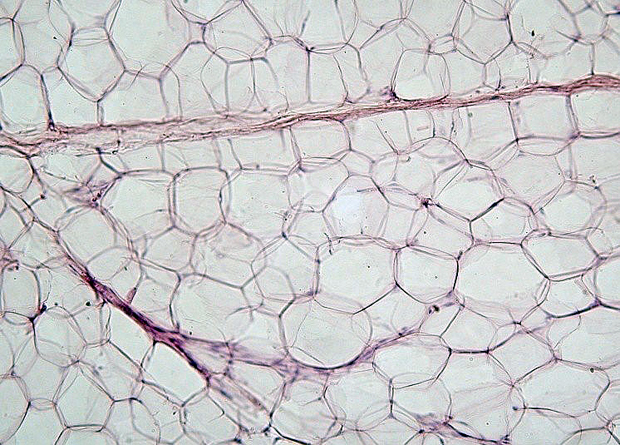 The scientists created a knock-out mouse model whose adipocytes or fat cells lacked NCoR. Though bred to be obese and prone to diabetes, Olefsky said the glucose tolerance improved in the NCoR knock-out mice. Moreover, they displayed enhanced insulin sensitivity in liver, muscle and fat, and decreased systemic inflammation. Resistance to insulin, a hormone central to regulating carbohydrate and fat metabolism, is a hallmark of diabetes, as is chronic inflammation. Phosphorylation is a biochemical process in which a phosphate group is added to a protein or other organic molecule, activating or deactivating many protein enzymes. It turns out that NCoR facilitates phosphorylation of PPAR-gamma, so that without NCoR, the receptor remains unphosphorylated and active. In related work also published in the same issue of Cell, EPFL scientists found that knocking out NCoR in muscle cells produced a surprising effect. It did not repress PPAR-gamma, but rather generated a different phenotype or set of results. Though NCoR’s role as a major co-repressor was known, it was considered a poor drug target because inhibiting it could cause unwanted de-repression in some cell types, producing adverse side effects. Olefsky said the newly discovered specificity of NCoR revitalizes the idea that NCoR may be an excellent drug target for type 2 diabetes and other insulin resistant diseases. Co-authors of the study are Pingping Li, WuQiang Fan, Jianfeng Xu, Min Lu, Dorothy D. Sears, Saswata Talukdar, DaYoung Oh, Ai Chen, Gautam Bandyopadhyay, Jachelle M. Ofrecio and Sarah Nalbandian of the Division of Endocrinology and Metabolism, Department of Medicine, UC San Diego; Hiroyasu Yamamoto and Johan Auwerx of the Laboratory of Integrative and Systems Physiology, Ecole Polytechnique Federale de Lausanne and Miriam Scadeng, Department of Radiology, UC San Diego. Funding for this study came, in part, from the National Institutes of Health, the EU Ideas Program, the Swiss National Science Foundation and the Eunice Kennedy Shriver National Institute of Child Health & Human Development as part of the specialized Cooperative Centers Program in Reproduction and Infertility Research.